In the March issue of The Spark an article about Kim Dotcom (available online at http://bit.ly/x2nFKF) ended with the words “Discussing ways in which content creators can be remunerated fairly for their work, and also about how the boundaries between creative work and other forms of labour can be broken down are beyond the scope of this article, but they are discussions worth having.” This article by Joel Cosgrove takes a look at some of those issues. For further background reading see ‘Copyright – A Marxist perspective’ at http://bit.ly/jh9MhU or in the June 2011 issue of The Spark. Copyright is a cultural battleground. While there is something new in the scale and the breadth of this “issue” at its heart it is just a continuation of a struggle between capitalists and consumers that has extended from sheet music, radio, to records, VHS tapes, CDs and the humble MP3. Part of the problem is that within capitalism, property and possessions are framed around what people can purchase as opposed to what people actually need. We are all familiar with this situation, most of the time, most people knowingly unknow this. We see things in front of us and for a number of reasons find it easier to put it aside than face the consequences of calling out the emperors’ new clothes. -John Philip Sousa in 1906 railing against the development of the mechanical piano and early record players. 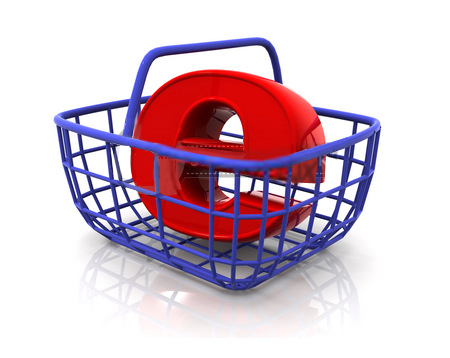 When we see cans of food on supermarket shelves, the supermarket has them, we do not. The framework of profit over need seems to make a certain amount of sense. However with regard to the selling and commodification of ideas, things get a fair bit hazier. While content was tied to a physical form i.e. the physical book, a record etc. a gate keeping role existed that limited supply and made these forms scarce. If I brought a book, I depleted the stock from the store, if I lent my book to a friend, she has the book and I do not. In a digital environment, both my friend and I can posses and consume the book, it ceases to be scarce in the sense that society has previously understand it. Yet the culture industry has always been a sphere of the economy that has been framed by theft, manipulation and the exploitation of the workers either engaging in their spare time or full-time as creators of content. An idea is an abstract thing and difficult to pin down, copyright has been used as a way of solidifying a claim and an ability to make money off of these precarious commodities. For that reason technology as a means of distribution and production is often at odds with the established industry forces and the already existing base of technology and investment. 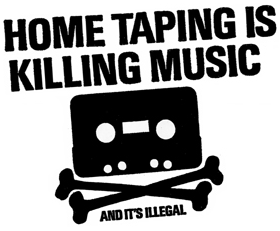 With radio you had the industry claiming that no one would buy music when they could listen to it for free, with cassette tapes you had the industry claiming that no one would buy music when they could listen to it for free and the exact same argument for MP3s. Technology has a habit of destroying previous investment, forcing new investment in new untested formats, when Stewart Brand cointed the phrase “information wants to be free” he meant that, ideas as an abstract thing are difficult to keep from circulating and that the best thing to do was to make them freely available. The principle way of keeping control of the gate is to be able to maintain a physical control of the commodity. It’s hard to maintain a gate with no fence either side. As technology has developed and improved, so it has made it harder for the industry to control access. And yet this opening up of content is driving higher and higher the amount of content created and produced. A high-end 8-track two inch tape machine for recording music might have cost $80,000 in the 80’s. A $2,500 computer can do an almost infinitely improved job and the price continues to go down as the capabilities increase. In light of the attempted demonisation/criminalisation of “pirates” Recent research from the BI Norwegian School of Management has put forward that those who download music illegally are also ten times more likely to purchase songs than those people who don’t. Part of the problem within copyright is the idea, prevalent in a lot of capitalist ideology that copyright has always existed in some form, as well as the atomised, individualism that these ideas represent. Everything is built on what went before it, nothing exists in isolation, just like the scientific sphere, in the cultural sphere modern artists are as Issac Newton put it “standing on the shoulders of giants”. Led Zeppelin's "Whole Lotta Love" was heavily lifted from Willie Dixon's "You Need Love." Bands like Led Zeppelin have an appalling hisotry of appropriating traditional songs or the music of poor blues artisits. “Whole Lotta Love” which appears on Led Zeppelin II, was the first major single by the band. 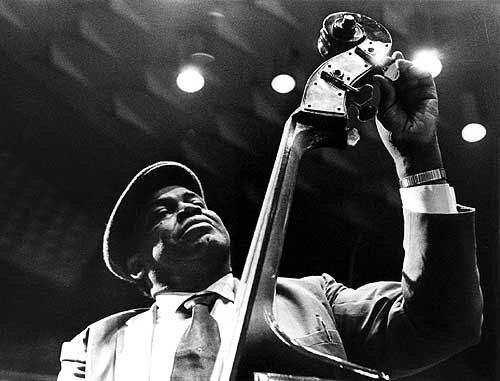 The lyrics are heavily lifted from Willie Dixon’s song “You Need Love”. Youtube’s Content ID service was put in place after it’s purchase by Google in 2007. The service is weighted towards major music and film labels in assigning royalties and advertising revenue. Small per clip, but substantial when counted in the millions and billions of clips. Simon Grigg, a major figure in the history of independent New Zealand music has written about his experiences of major labels claiming copyright (more precisely the right to collect advertising off the relevant clips) on works which he as label owner controls i.e. How Bizarre by OMC. After discussion with other independent industry friends he claims that the major labels engage in wide-spread claiming of content which they have no right over. He also states that he has received little or not revenue and neither have other independent labels he is in contact with. Simply put the system of copyright control is structured to support the major labels (in music there are 3 now), the centralised capitalist players. Any benefit that niche workers get is incidental and a token co-option that proves useful to pull out when sympathy is difficult to get for the multinational conglomerations. The problem that is encountered in this discussion is the dichotomy between the use and exchange value of the creative work people are creating. The ability to live off one’s labour power is often unrelated to the work that is created, just look at the furore over the relative value of the current pop-idol factory production. When barriers are put in place to force people to maintain a social relationship that technology has rendered obsolete, we are given more evidence that capitalism has passed its use by date. « Workers Party leaflet: Aotearoa Not For Sale – to local or foreign capitalists!